Peter (AKA Mr. Souvlaki for the Soul) is my flickr/blogging/photographer friend. We met in a flickr photography group years ago and have been chatting over email ever since. He's in Australia, I'm in NY, and neither of us ever had occasion to be in the same part of the world until recently. Despite this, we've had a regular, lovely dialogue over email for years, chatting about blogging, photography, seeking advice on client challenges, photography equipment and of course, gossiping and talking about nothing at all. Even though we never met in person, I felt a real friendship with him. When my son was born, he sent a beautiful baby blanket from Donna Hay's store, knowing what a huge fan of her I am. It was very touching to say the least. A few months ago his "day job" took him to New York. I've never had the experience of having a virtual friend become an in-person one and it could have been incredibly strange to meet face-to-face. But it wasn't - in fact - it was comforting to see that he's exactly the same person live as on email - and exactly who I expected him to be. Fortunately he's been in town twice since and we've been able to have short visits each time. It's been fun getting to know him better. He does different work than I do, with a different approach and it's been nice learning from each other. I don't know that many photographers, and it's always wonderful to spend time with someone who shares the same passion. Just after Christmas, Peter was in town and brought gifts not only for me, but also for my husband and son - so sweet. Mine was a copy of Donna Hay's latest. I could not wait to get my hands on it! There are so many simple, great recipes in there that I didn't know where to start. The poached pears grabbed me because they are winter-inspired and also because they are not poached in the typical wine, but rather in a vanilla syrup which preserves their color and makes them a beautiful white-on-white which is always such a nice, graphical aesthetic, isn't it. 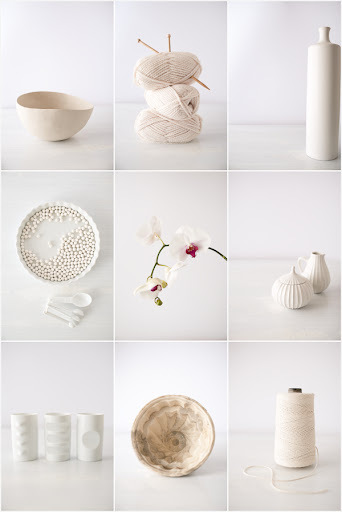 In fact, maybe it's because the cityscape is a snowy one but I've been loving all things white on white lately. It's soft and comforting, isn't it? Thanks, Peter, for the book - I am really going to enjoy it! Place the water, sugar and vanilla bean and seeds in a deep frying pan over medium-high heat and bring to boil. Add pears and simmer for 3 minutes each side or until just tender. Serve with some of the poaching syrup and vanilla ice cream/whipped cream. It's been a pleasure meeting you and finally getting to know you and your family in person. 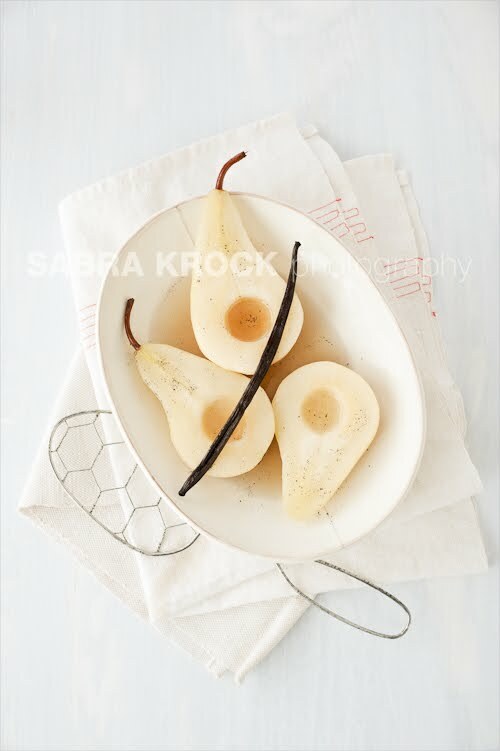 I think you did a fab job with those pears and I'm totally in love with those still life pics! I like that blogging and photography connect people and create new virtual friendships. I met two of my blogging friends in person recently and it was an amazing experience. Love your white on white photos, the lighting is so comforting! 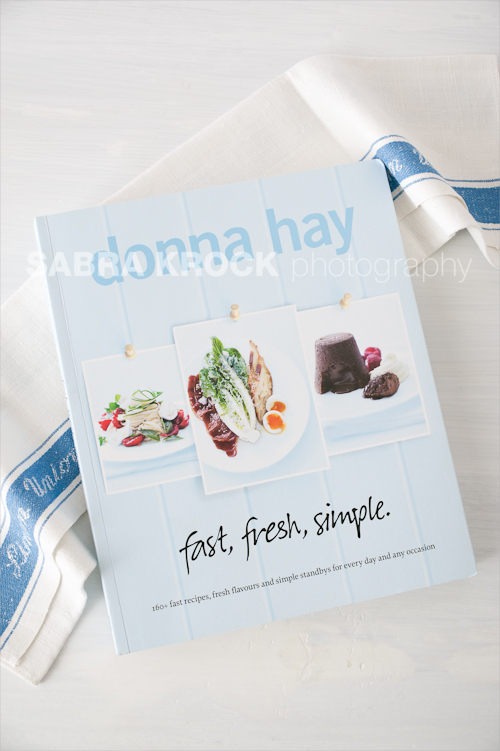 I've got Donna Hay's Seasons for Christmas and it has instantly become my favourite cookbook! What a lovely post. You are so lucky to have met Peter. Maybe I'll meet him one day as well. Great photography! Beautiful white on white photos. Great post. Recipe sounds easy & delicious! I had the pleasure to meet and have dinner with him in San Francisco last year. He mentioned you and how much he thought of you back then. We were gossiping about the blog we love. Peter is just divine. He's the kind of guy you meet once and feel like you a friend forever, and the conversation is fun and exciting. I too am in love with white and I like the look and photo of the pears. Perfect as always. I absolutely love Donna Hay and her simplicity. Thank you for sharing this delightful recipes because I don't own this one yet! YOur photos are so lovely and really add to the feel of this dish! Love the photography!!! So fresh and rustic!